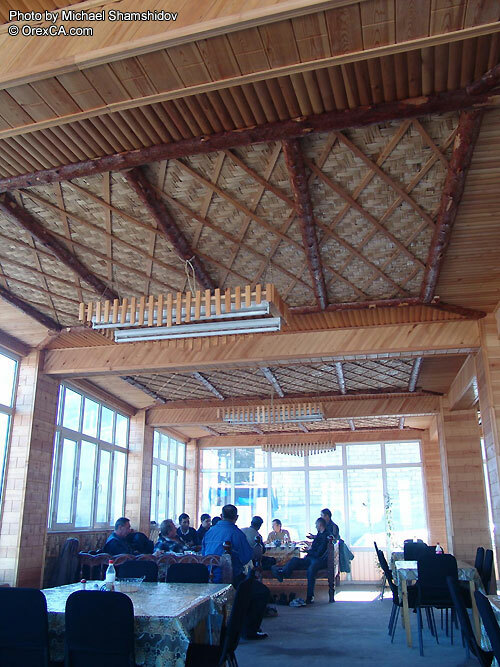 "Khonbalyk" - this fish restaurant is located in Tavaksay town. 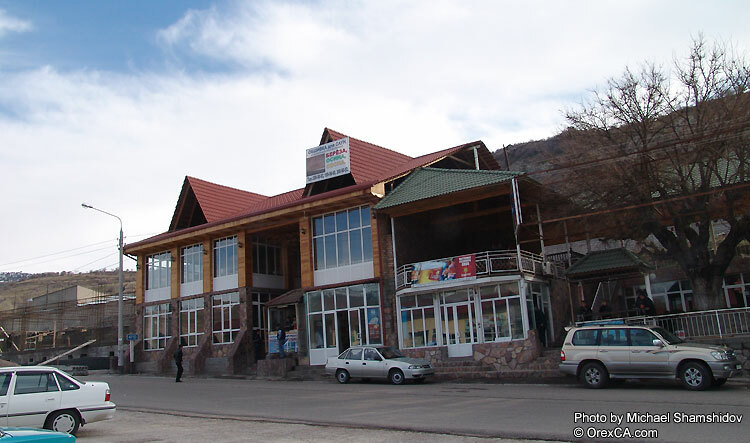 It is just before Gazalkent district center on the way from Tashkent to Charvak. 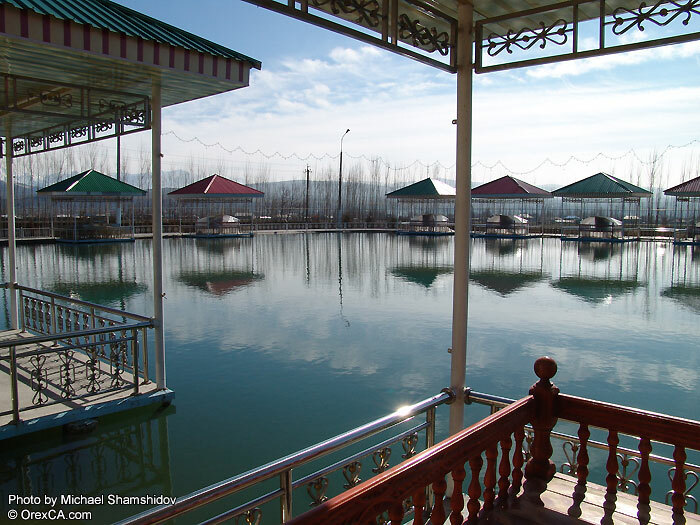 In the restaurant they have fish breeding ponds where they raise such kinds of fish as sazan and trout. Visitors of the restaurant can use the restaurant's fishing-rods to catch their meal while they sit on the trestles that extend out over the water. Coolness of the water and the gorgeous mountain-view create an atmosphere of rest and relaxation even in the hottest summer day. 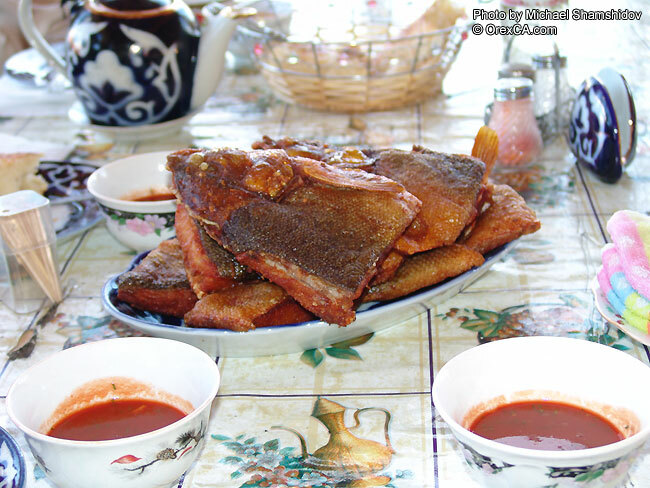 Cooked fish, your own catch or ordered, is served together with salads and appetizers. 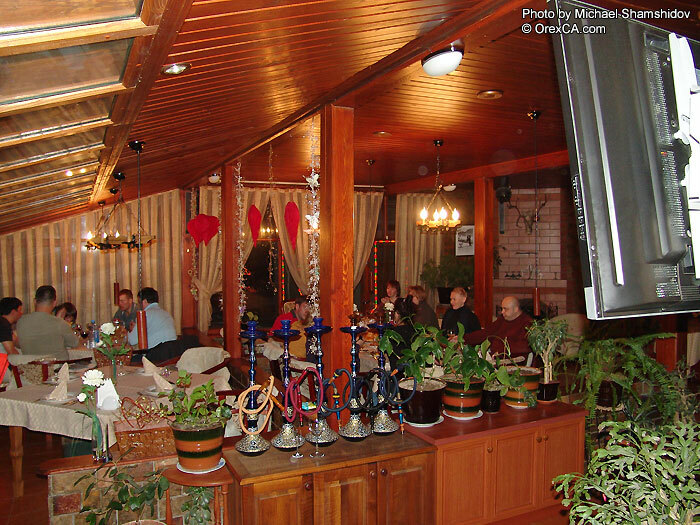 The restaurant also has indoor seating for the winter season. 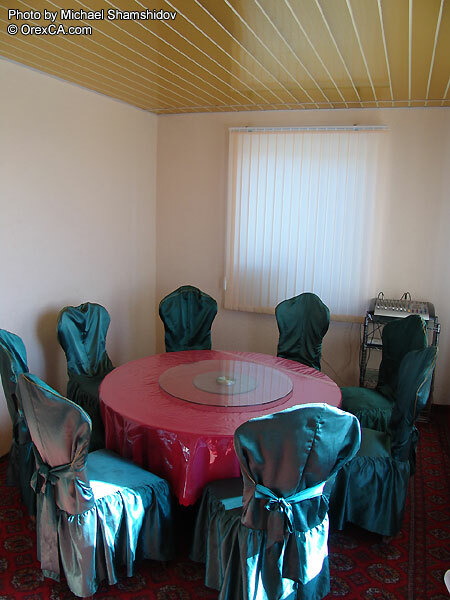 There are five restaurants here; they all serve Uzbek national food, fried fish (trout and marinka), salads, soft drinks and alcoholic drinks. 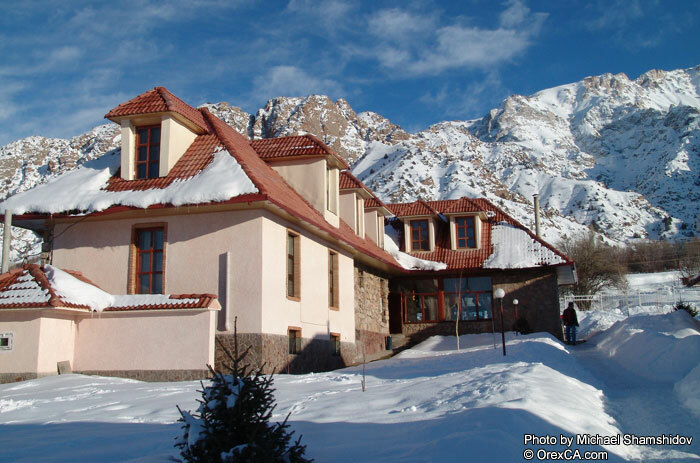 You can sit indoors where there is heating and air conditioning, or sit outdoors with the fresh air and the majestic mountain-view. 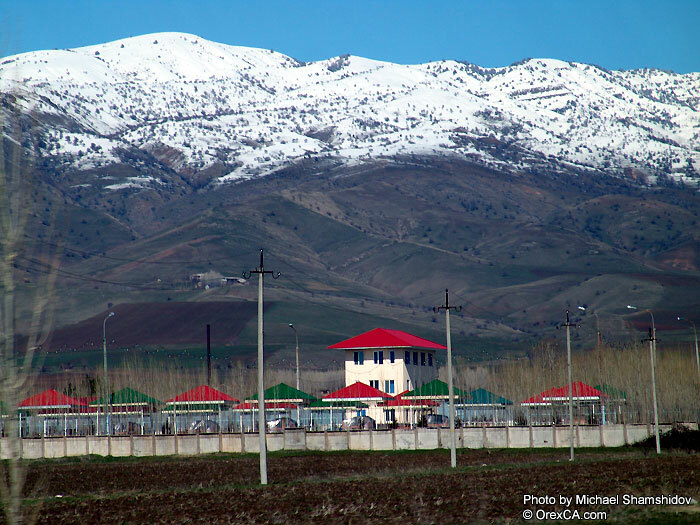 There is a place called "Chinary" not far from here and it's one of "must see" sights. You can look at 600 years old plane trees and enjoy the coolness of the crystal clear creek under the shade of the trees. 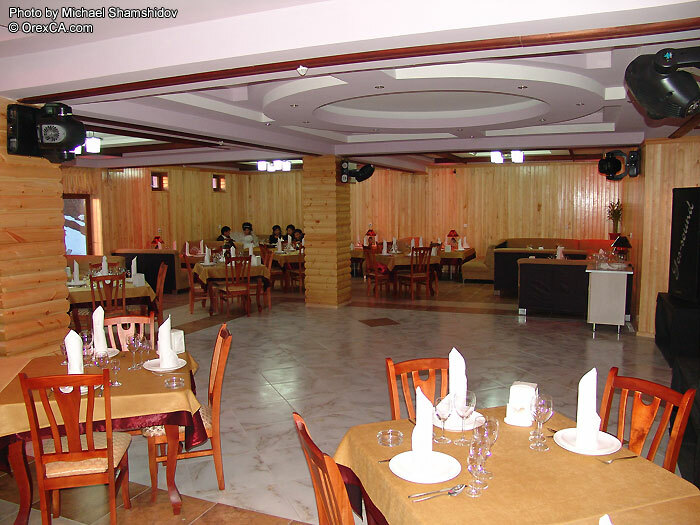 The most elegant place in Ugam-Chatkal National Park's resort is the restaurant of "Sky Village" hotel. 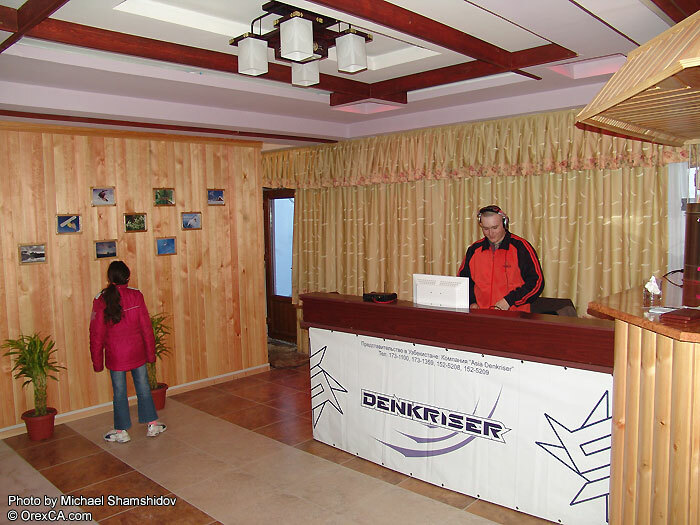 It is located not far from skiing complex "Chimgan". High-quality meals of Asian and European cuisines, great service and interior of the restaurant, hookahs, billiard, dart and karaoke create an atmosphere of comfort and luxury and can satisfy the most demanding taste. 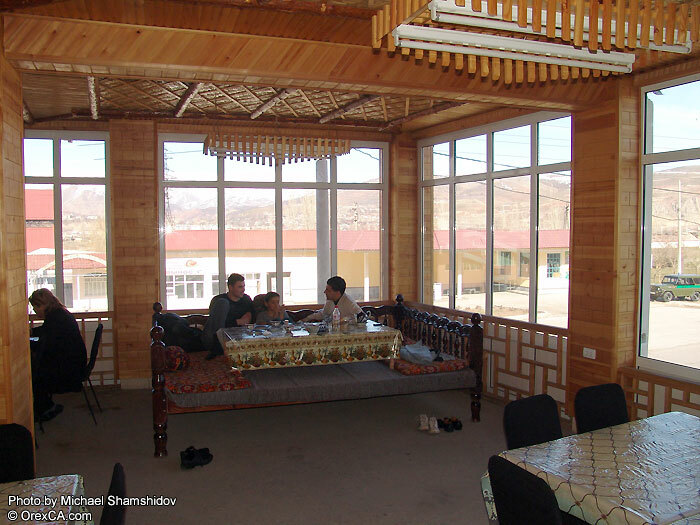 Large windows give a view of "Little Chimgan" mountain. 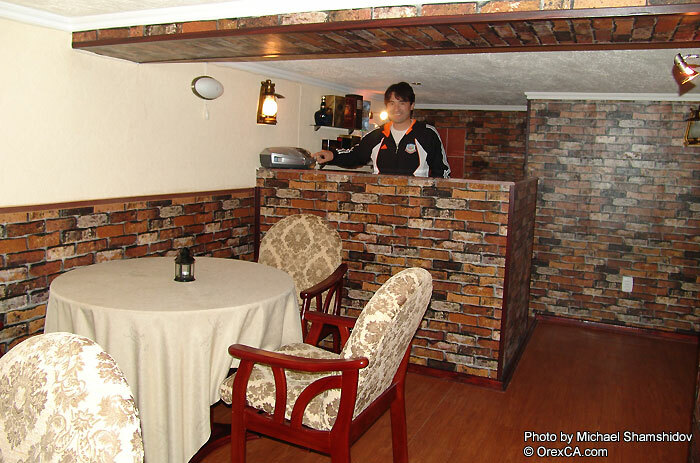 The restaurant has a small cozy bar where visitors can bring their own alcoholic drinks because they are not sold here. 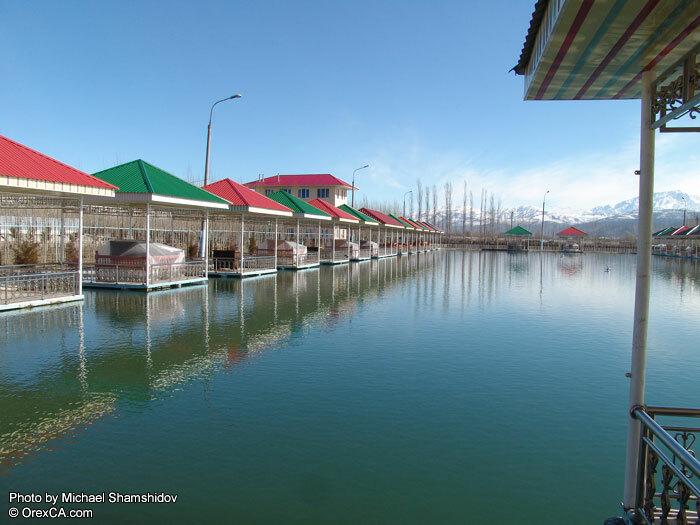 There is also a swimming pool that is open for the summer. 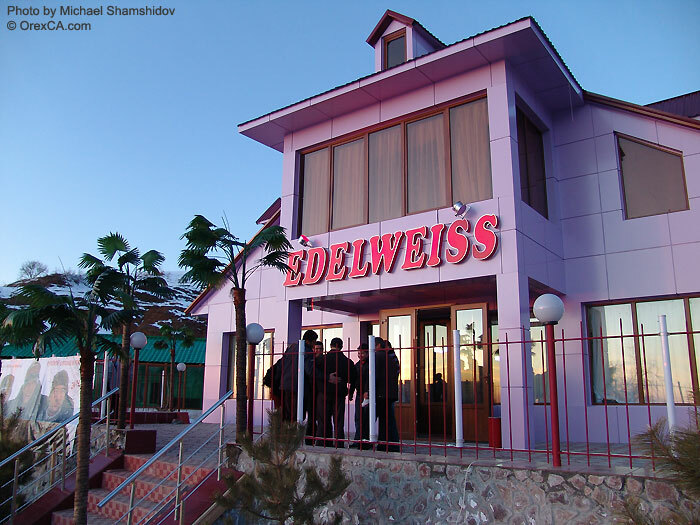 The Club-restaurant of "Edelweiss" motel is between Gazalkent and Chimgan, located not far from the turn to the Beldersay ski resort. 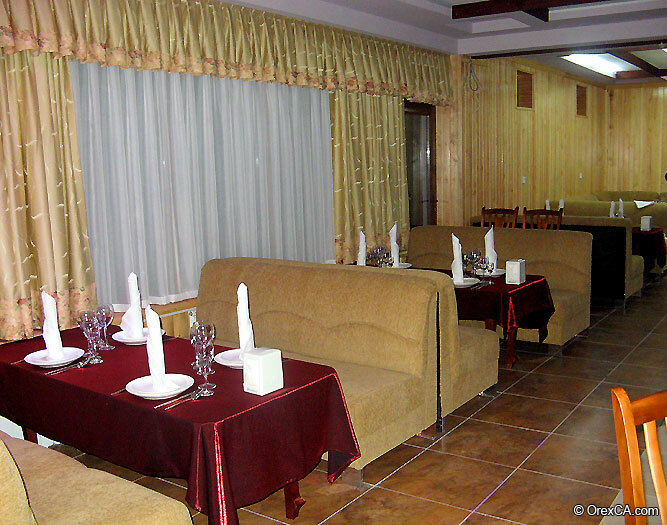 Here you can have not only a light snack but a good dinner and you can even spend the night in the club which works "till the last client". This place is unique also because there are no any other objects within a radius of many kilometers, only the wild nature.